Recently I was in New York for the BPM 2010, and Human Potential conferences and I took the opportunity to visit from friends at Columbia University. 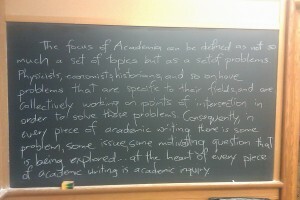 While there, in Hamilton Hall, I saw a well written paragraph on the importance of problems and question in academia. Click the thumbnail to see a larger image. 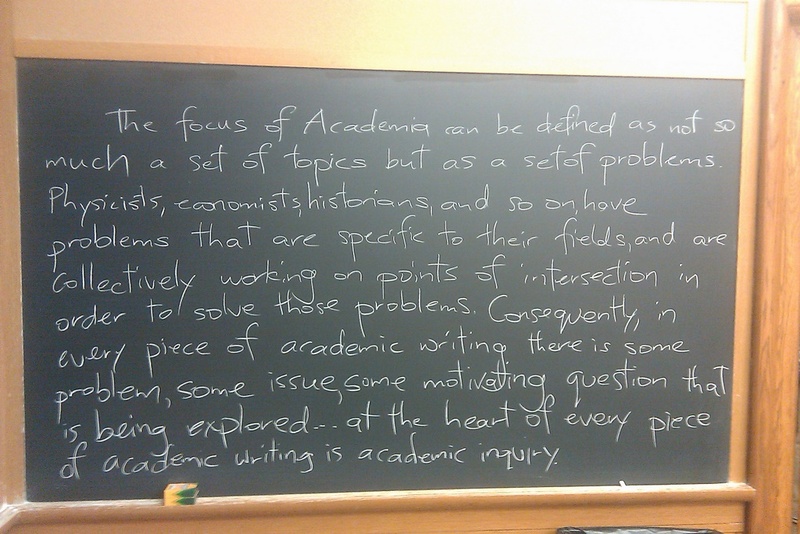 The focus of Academia can be defined as not so much a set of topics but as a set of problems. Physicists, economists, historians, and so on have problems that are specific to their fields, and are collectively working on points of intersection in order to solve these problems. Consequently, in every peice of academic writing ther is some problem, some issue, some motivating question that is being explored.. at the heart of every piece of academic writing is academic inquiry. How does IT transform industries and change the boundaries between them? How do platforms alter existing business models and create new ones? What determines success with a firm’s IT investments? How do firms effectively get value from and govern data? Why do incumbent companies frequently miss large, new IT-based opportunities? How do unique characteristics of digital goods impact business models? Why do network effects pervade IT-based businesses and how do they alter strategy? How does human behavior/interaction differ in spaces mediated by Information Technology? Dhar, V., & Sundararajan, A. (2007). Issues and Opinions–Information Technologies in Business: A Blueprint for Education and Research. Information Systems Research, 18(2), 125.